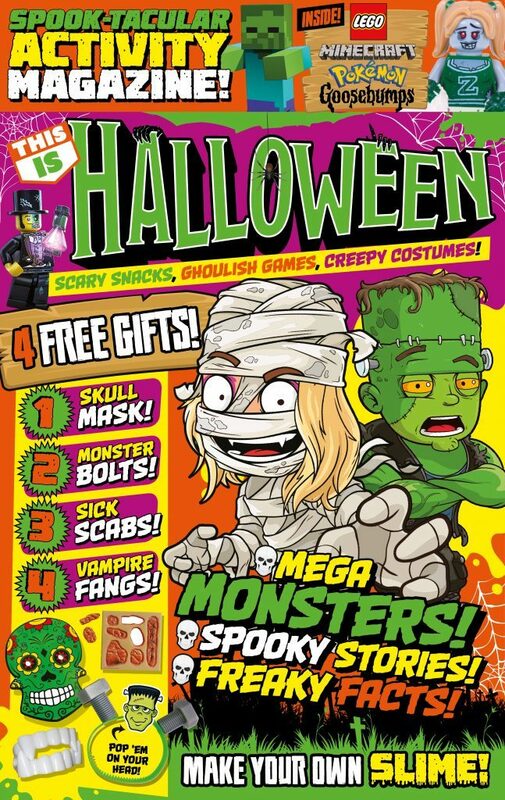 DC Thomson is launching This Is, a monthly children’s magazine series - D.C. Thomson & Co. Ltd.
Issue One is This Is Halloween, a spook-tacular magazine packed full of everything kids need to get ready for Halloween. Inside you’ll find monstrous makes, creepy comics, foul facts and heaps of games, quizzes, puzzles and jokes! This Is Halloween comes complete with four free gifts that will horror-ify your costume! This Is Halloween is on-sale from 4th October at all truly terrifying supermarkets and newsagents priced £3.99.